In order to accurately interpret the images one sees on an ultrasound (US) monitor screen it is essential to have a basic comprehension of basic physics and the principles of ultrasound imaging. 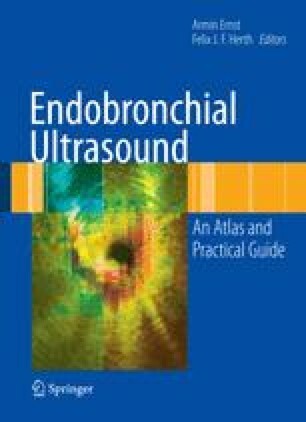 Several societies, including the Royal College of Radiologists (1), the American College of Emergency Physicians (2), and the American College of Surgeons (3) have developed guidelines that state the necessity of incorporating this fundamental knowledge base into one’s practical training for using ultrasound at the bedside. This chapter will review some of these core principles, with key words or phrases used in the lexicon of US italicized for emphasis. American College of Surgeons. Ultrasound Examinations by Surgeons. http://www.facs.org/fellows_info/statements/st-31.html. 1998. 3-15-0006. Ref Type: Electronic Citation.